Marlene M. Browne, is a graduate of Boston College and Emory University School of Law. Admitted to the bars of New Jersey, Massachusetts, and Colorado and member of the ABA Family Law Section and the Family Law Section of the New Jersey State Bar Association, Ms. Browne developed an encyclopedic domestic relations law practice involving extensive trial, postjudgment, and appellate matters. 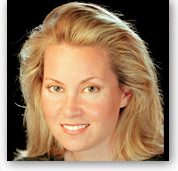 Ms. Browne appears on National radio and TV and writes regularly for Forbes.com on the subjects of divorce and money. She has recently co-written, with her mom, Dr. Marie H. Browne, two self-help books for Adams Media, released in 2007. Ms. Browne is the author of four other books and resides with her husband, Chris, a 767/757 captain for Continental Airlines.